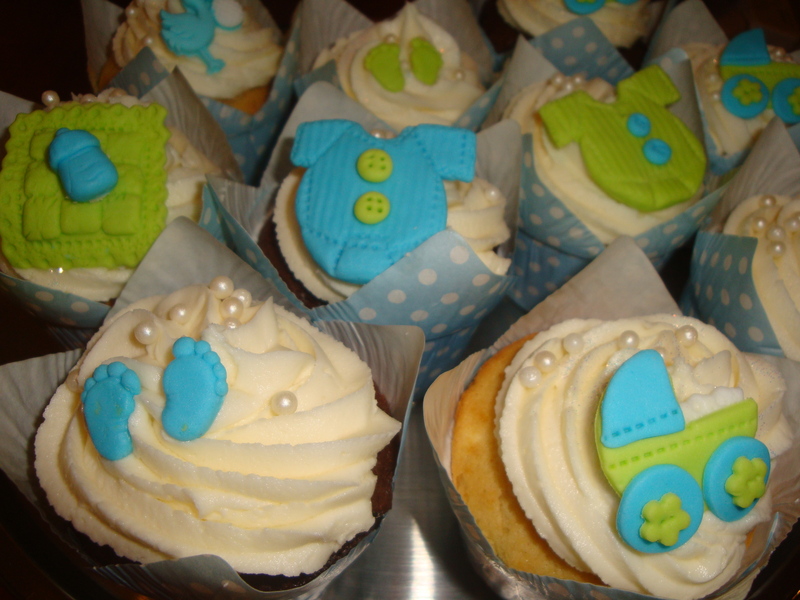 These are cupcakes I made a few weeks ago for a baby shower. 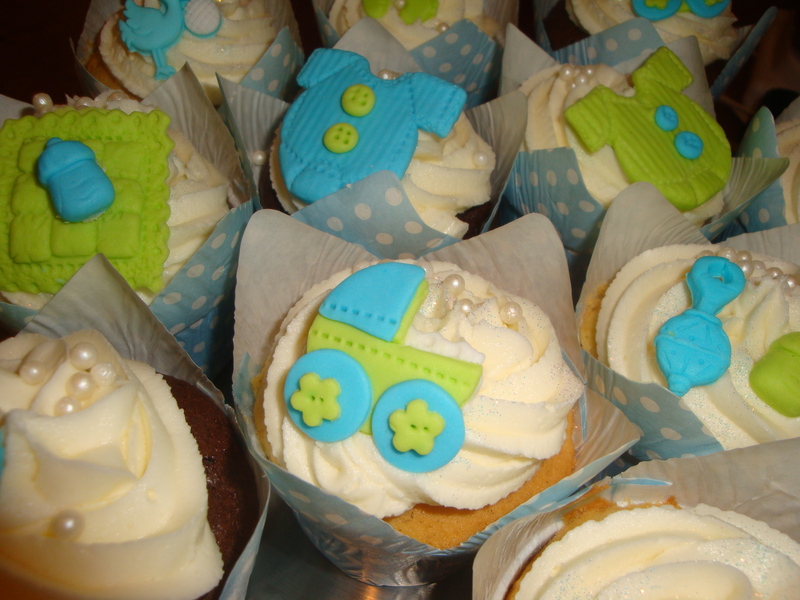 The colour theme was blue and lime green for a baby boy. The stork decoration I bought from Jodees. The baby feet, bottles and baby grows I molded from sugarpaste and the baby prams I made using circles of plastic icing cut to shape. Wishing this client the best of luck when she has her new baby. Oh those little feet and babygrows are just too darling!